Properties in Tahunanui average 4.5 out of 5 stars. Property 7: Exceptional Views over Tasman Bay Tahuna Beach! Property 8: Beach holidays don't get any better than this! Stunning Nelson Holiday Home with Exceptional Beach & Sea Views! Property 18: Stunning Nelson Holiday Home with Exceptional Beach & Sea Views! Property 19: 'BeachViews' - Stunning Waterfront Home! Property 20: 'Commodore' - Modern with Panoramic Sea Views! 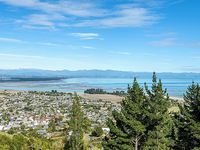 Property 21: 23 Below - Affordable Nelson Apartment with Views! Spacious, Comfortable, Sunny Nelson studio with Sea Views! 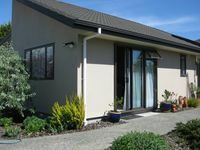 Property 23: Spacious, Comfortable, Sunny Nelson studio with Sea Views! Property 24: Rural Nelson Bliss in the city. Property 36: Spacious with Sea Views! Property 37: Spacious with Sea Views! Property 41: Family friendly holiday retreat. Up on a hill in Nelson. Easy to find on GPS.